These three wonderful cheese knives from Nicolas Vahé will look good on any table. The knives are made from stainless steel with a satin finish that creates a premium look. The shafts are made from acacia wood, which gives the knives a wonderful and simple look. 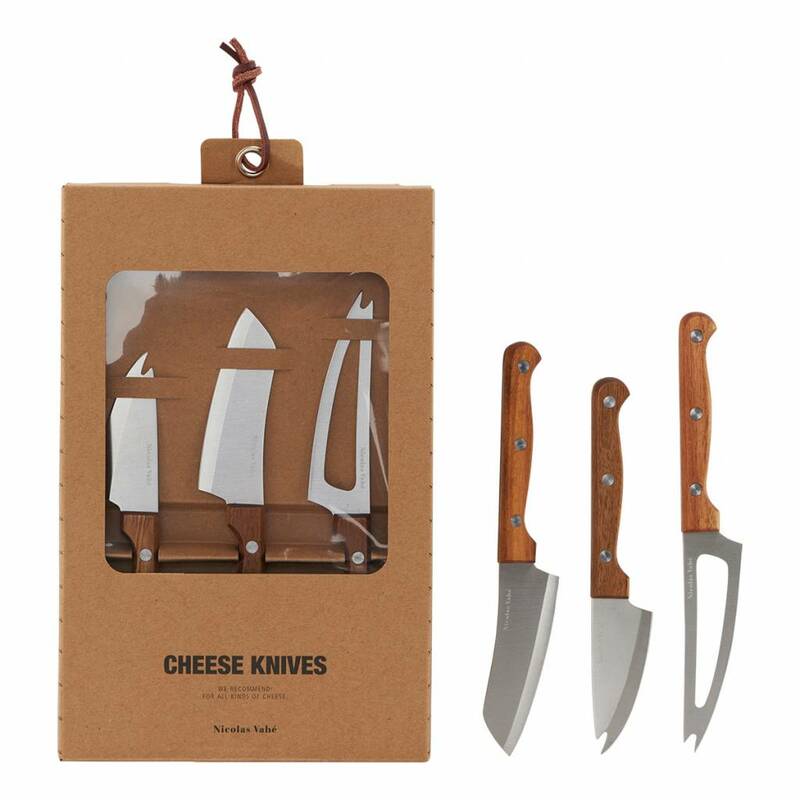 The three knives are perfect to cut out any of your favourite cheeses as they are made from soft as well as hard cheeses. We recommend that you wash the knives by hand after use.